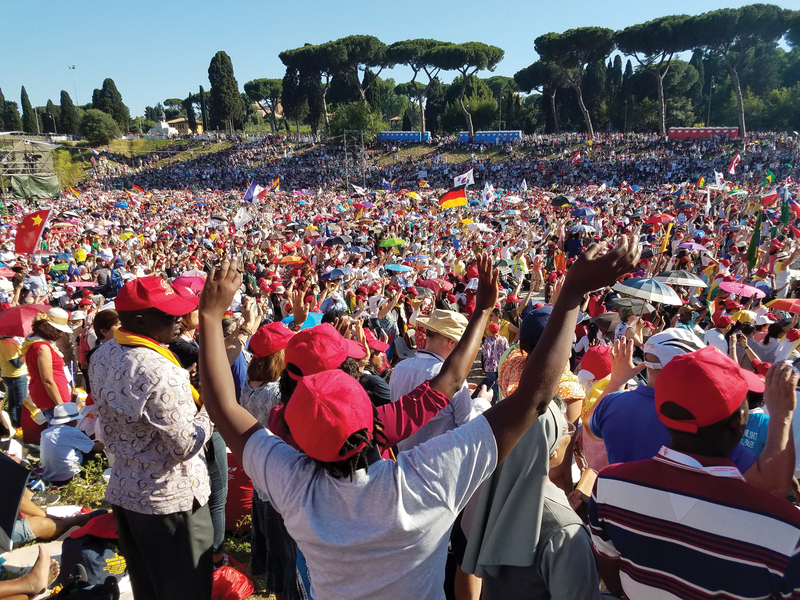 Thirty thousand people from 128 countries came to Rome in June to celebrate the 50th anniversary of the Catholic charismatic renewal, and I got to be one of them. 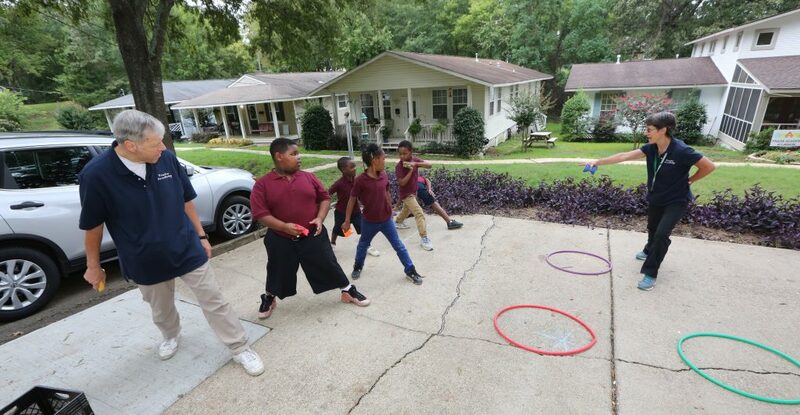 I traveled there with Angie Hass (Mission Indianapolis), and met up with community members from Colorado Springs, Indianapolis and Servant Branch. I know there were brothers and sisters from Buffalo and Appleton there, too. I’d heard that Pope Francis had wanted the celebration to have an ecumenical emphasis, and it was moving to see many signs of a renewed interest in unity. On Thursday, sitting on the marble floors of stunning Byzantine and Renaissance churches, I heard stories of ecumenism. Giovanni Traettino, an Italian Pentecostal, shared about washing the feet of a Catholic, after years of tense relations between Catholics and Pentecostals in Italy. Charles Whitehead, a friend of Kevin and Dorothy Ranaghan (South Bend), described a long process of regular meetings and conversations among the leaders of all of the Christian churches in his English village. On Friday morning, I attended a panel discussion on ecumenism in a lecture hall designed to seat about 200. It started late. The emcee came to the microphone and explained that there were 2,000 people waiting outside. “We didn’t anticipate how much interest there would be in this topic,” she said. A highlight came on Friday night, when a video about the origins of the Catholic charismatic renewal played on the JumboTron. I looked up and suddenly Kevin and Dorothy appeared on the screen, 20 feet tall. Though the Ranaghans had been unable to come to Rome in the flesh, God found a way to bring them there that was truly larger than life. Simply amazing. God is having his way to bring us to unity.